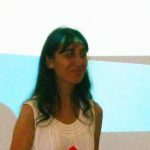 Natalie Banerji is currently a Full Professor of Chemistry at the University of Bern and leads the FemtoMat group. 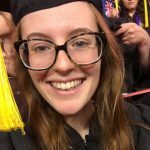 Her research interests include the study of organic and hybrid materials using ultrafast spectroscopic techniques, in view of solar cell and bioelectronic applications. She studied Chemistry at the University of Geneva and obtained her Ph.D. in Physical Chemistry in 2009, under the supervision of Prof. Eric Vauthey. She then moved to the University of California in Santa Barbara (USA), to work on organic solar cells during a post-doctoral stay with Nobel Laureate Prof. Alan J. Heeger (2009-2011). 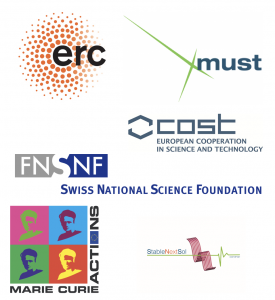 In 2011, she started her independent research career in Switzerland at the Ecole Polytechnique Férérale de Lausanne (EPFL) with an Ambizione Fellowship by the Swiss National Science Foundation (SNSF). 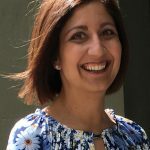 She moved to the University of Fribourg in 2014, was subsequently nominated Associate Professor in 2015, and presided the Chemistry Department in Fribourg form 2016-2017. Click here for her full CV. 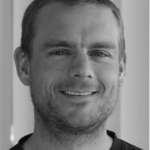 Julien joined the Femtomat group as a Postdoc in August 2017 and became Research Associate in June 2018. His research interests involve any kind of Ultrafast Laser Spectroscopy ranging from the ultraviolet to the Terahertz. He is mainly involved in developing new tools for the field of Organic Bioelectronics, especially in the Terahertz. Click here for his full CV. 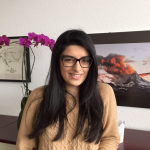 Demetra joined the FemtoMat group as a Post-Doctoral Researcher in February 2015. She studied Physics at the University of Cyprus and obtained her Ph.D. with Prof. Andreas Othonos in 2012. 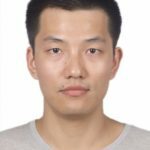 Yufei joined the FemtoMat group as a Post-Doctoral Researcher in 2017. He studied applied chemistry in University of Tokyo for his PhD following Prof. Hashimoto Kazuhito (current President of NIMS). 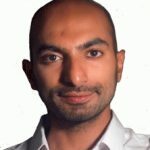 Before joining FemtoMat team, he did his postdoc in Riken following Dr.Tajima Keisuke in 2014, and after that he moved to KAUST for another postdoc position in Prof.Aram Amassian’s team till 2016. 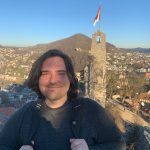 Bruno joined the FemtoMat group as a Post-Doctoral Researcher in 2019. 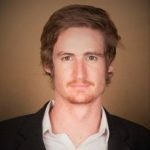 He studied Chemistry at the University of Sao Paulo (Brazil) and obtained his Ph.D at the University of Illinois at Urbana-Champaign (USA) with professors Andrew Gewirth and Ralph Nuzzo in 2018. His current project involves the development of a visible pump-SFG probe experiment for the characterization of morphological changes in organic Biolelectronic materials. Martina joined the FemtoMat group as a Ph.D. student in September 2014. She obtained her Bachelor Degree in Chemistry from the University of Turin in 2011, and her Master Degree in Chemistry from the Ecole Polytechnique Fédérale de Lausanne (EPFL) in 2014. 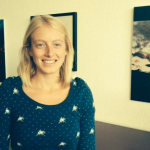 Lisa joined the FemtoMat group as a Ph.D. student in October 2014. She studied Chemistry at the University of Geneva and obtained her Masters degree in 2013. 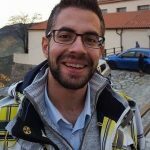 Nikolaos joined the FemtoMat group as a Ph.D. student in October 2015. He studied Physics at the University of Patras and obtained his Masters degree in 2015. Philipp joined the FemtoMat group as a Ph.D. student in May 2016. He studied Physics at the University of Konstanz and obtained his Masters degree in 2015. Gareth joined the FemtoMat group as a Ph.D. student in December 2017. He studied Physics at the University of Pretoria and obtained his Masters degree there in 2017. 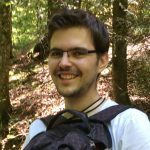 Gonzague joined the Femtomat group as a PhD student in March 2018. His research interest is to understand the fundamental processes and working principles of organic electrochemical transistors (OECTs). He obtained his Master’s degree in chemistry from the University of Fribourg in Switzerland and did his Master project in the group of Prof. Rafal Klajn at the Weizmann Institute of Science in Israel. 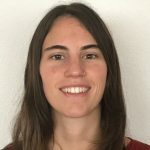 Kaila joined the Femtomat group as a Master Student in summer 2018. Her project revolves around the long range conductivity of organic semiconductors and their components under illumination. 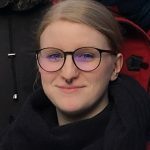 Jana joined the Femtomat group as a Master Student in January 2019. She obtained her Bachelors degree in Bern and now investigates ion mobility in doped polymers used in organic electrochemical transistors (OECTs). 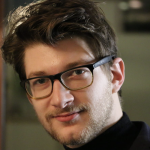 Frédéric joined the FemtoMat group as a Master student in January 2019. 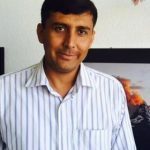 He obtained his Bachelor’s degree in 2018 in the field of Chemistry and Molecular Sciences at the University of Bern and is now working on organic electrochemical transistors (OECTs). 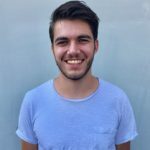 Joel joined the group as a Bachelor student in February 2019. His project will involve the spectroscopic investigation of PEDOT:PSS. 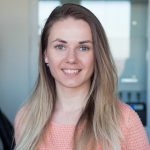 Aleksandra joined the FemtoMat group as Master student in January 2019. Her project is about the doped organic semiconductors and short-range conductivity using THz spectroscopy. 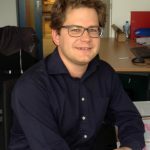 Dr. Jan Brauer worked in FemtoMat group at the University of Fribourg as a Post Doctoral Researcher for three years (2014-2017). 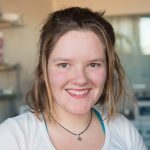 Jenny Farquhar carried out a Laboratory Project and her Master Thesis with Natalie at the University of Fribourg in 2016-2017. Arun Aby Paraecattil carried out his Semester and Master Projects with Natalie at the Ecole Polytechnique Fédérale de Lausanne (EPFL) in 2012-2013. Mariateresa obtained her Doctoral Degree in July 2015. She was working as a Ph.D. student from 2012 at the Ecole Polytechnique Fédérale de Lausanne (EPFL) under the co-supervision of Natalie and Prof. Moser.